The Mt Gilead Baptist Church was organized in 1902 under the leadership of Rev. R. B. Canady and Deacons G. Clark and T. Hamilton. The church was moved to 1012 Bayonne Street in 1926 by Rev. Sam Smith and Trustees. The Rev. J. W. McCreman and Deacons E. D. Clark, E. L. Mays, P. Soals, C. Tolbert and F. Hamilton was serving in leadership positions when the move occurred. In 1929 the original structure which housed the Mt. Gilead Baptist Church was destroyed by fire. The church was operating under the able leadership of Rev. O. B. Burgess at this time. Following a brief period of planning and designing, a framed church was rebuilt on the same site. Each Pastor, leader and members were faithful servants/soldiers, who paved the way, evidently persevered through trying times, but by the Grace and Mercy of God, the eternal Torch was passed on to today's New Mt. Gilead arriors. We thank all Pastor that led with dignity and honor, from 1902 until 1991. We salute them. On November 3, 1991, Rev. Roy Locke accepted the call as pastor of the New Mt. Gilead Baptist Church. Under his leadership the church experienced new growth. Another parking lot was added; a foyer was added, along with other remodeling in the inside of the church located at 1012 Bayonne Street. Also, a church van was purchased. 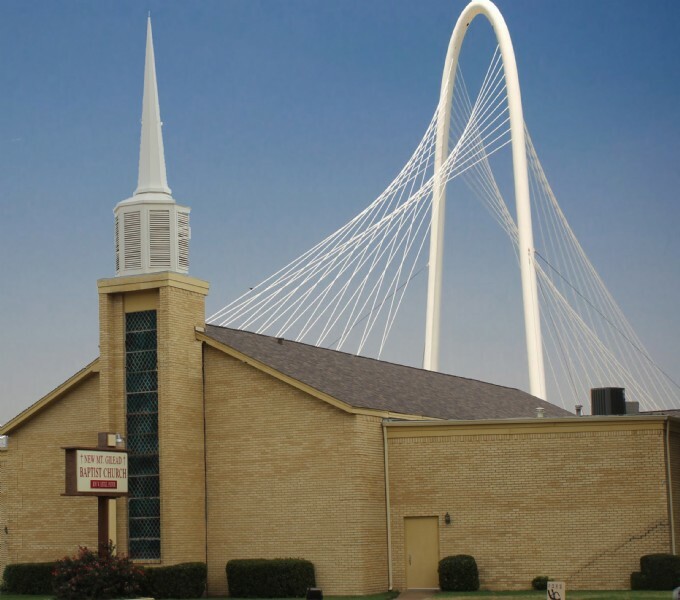 On Sunday, February 19, 1996, under the guidance of the Holy Spirit, and the leadership of Pastor Locke the church relocated to it's present location 1804 N. Beckley, Dallas Tx 75203. Thank be to God on October 5, 2005 we liquidate our church Note. We give God all the Glory and Praise for this great accomplishment. In 2006 God blessed us to purchase a new van, install new air conditions, and put a new roof on the church and other renovations.